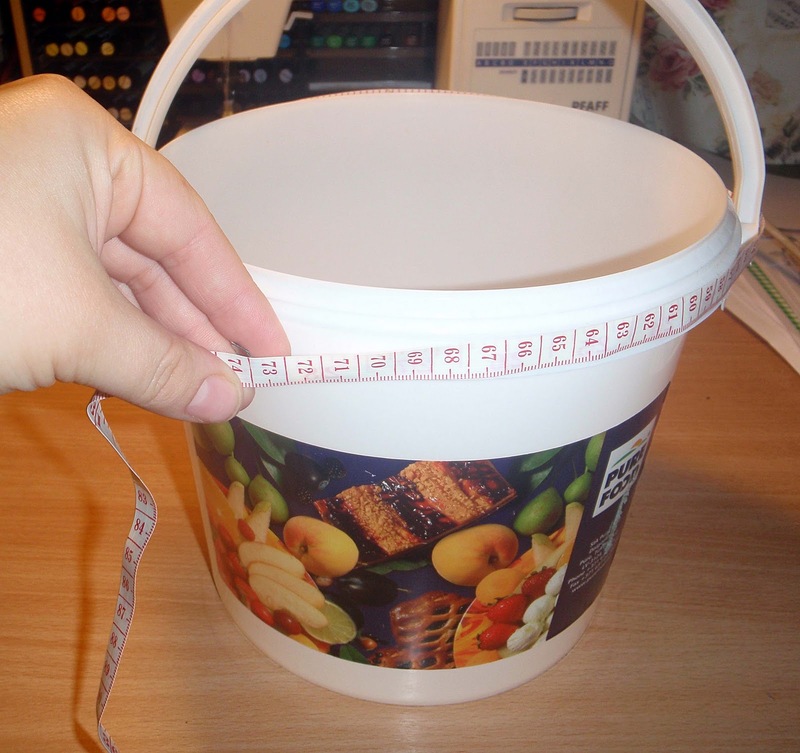 One more idea I got from Better Homes And Gardens online site was to transfer simple bucket into a tool storage item. 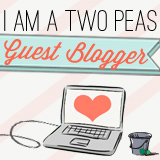 This idea fascinated me for some time now - especially I had all the things necessary already in my possession. 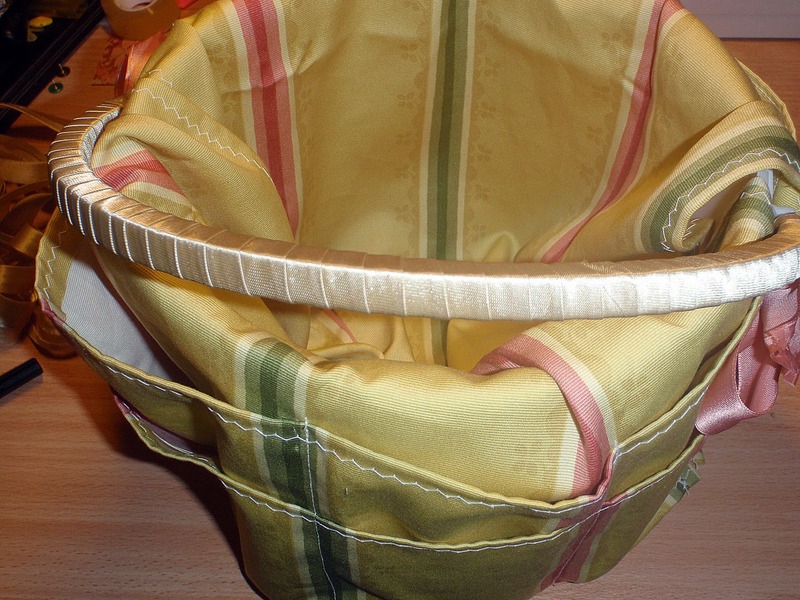 Because all you need is some medium sized bucket, firm fabric and a sewing machine. I also added ribbons and grommets, but that is just optional. 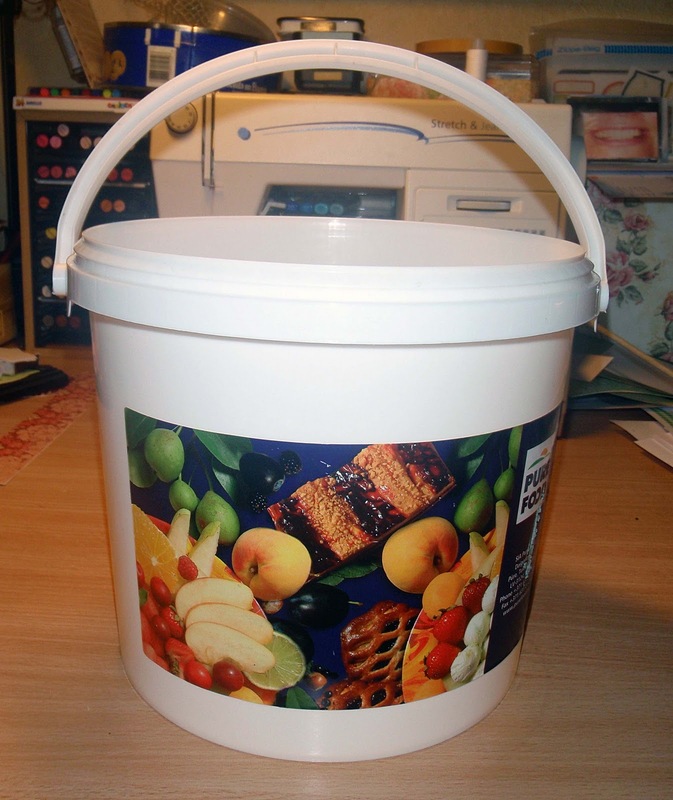 I used this plastic bucket, which I got from my hotel and there used to be jam in it. You have to start with taking measurements. 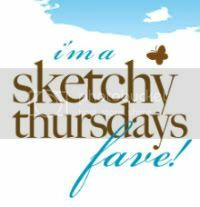 First measure round the bucket in it's thickest place. 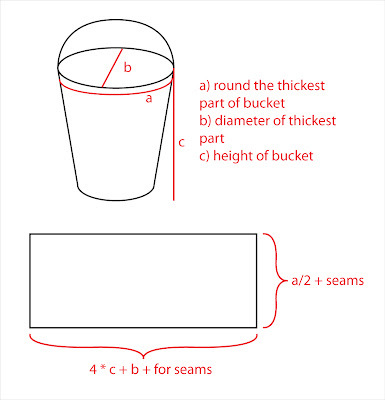 Next, you need to know the diameter of thickest part of your bucket (usually it is the top of it). 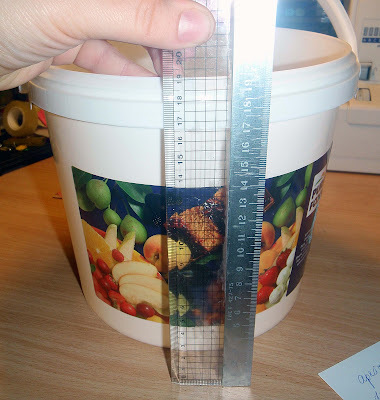 Then you have to measure the height of bucket - not the length of it but how far in straight vertical line is from the top edge till bottom surface (desk or floor or what ever you have placed your bucket on). Now you have to cut a rectangle from your fabric. 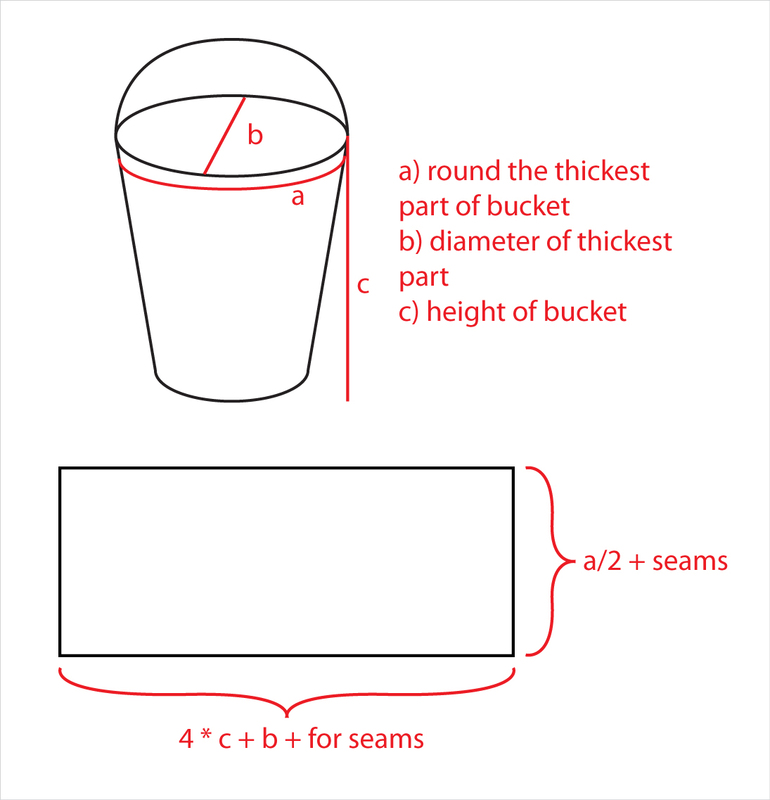 One edge is half of the length that goes around your bucket's thickest part (a), but other edge is 4 times height of bucket (c) plus diameter (b). 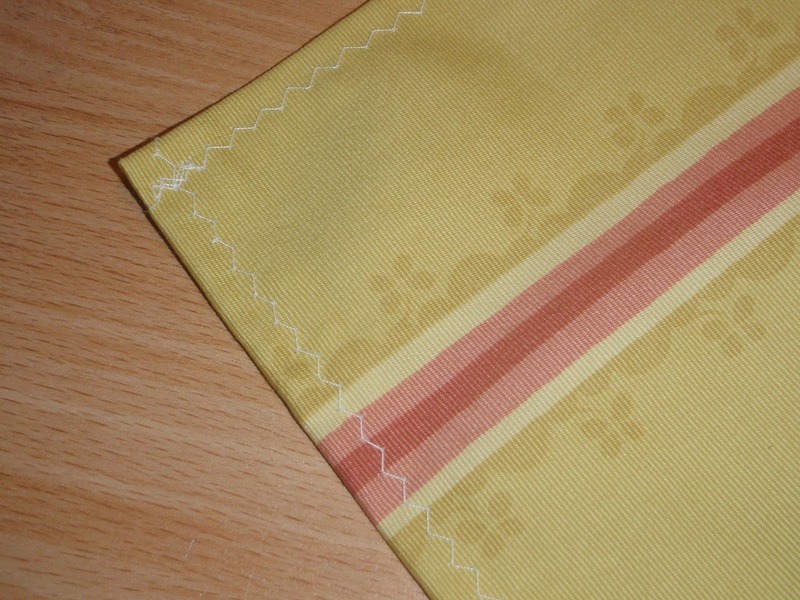 To all edges you must also add few centimeters for seams. 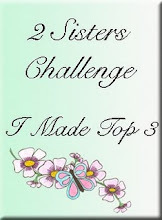 Next I sewed all edges of my fabric rectangle. Put your fabric in bucket so that shorter edges are at the bottom outside of bucket and longer ones go at the sides of handle and into the bucket. Measure how high does the handle stand and decide at what intervals you would like to make holes for ribbon. This is optional, because you can leave sides open as well. 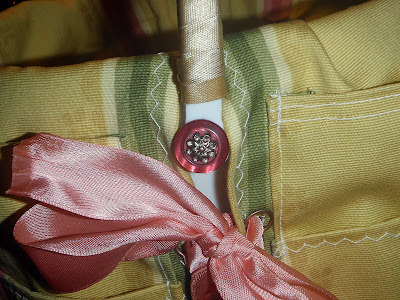 As there are some parts of my new craft room that are still unsorted and messy, I couldn't find my regular size eyelets and that really made me angry, but I decided to use grommets instead. Put them on all four edges under the bucket handles. I must say that I just can't figure out how to set grommets so that they would go in straight line and measured intervals - if someone knows how to do it, please let me know. I would really appreciate that. 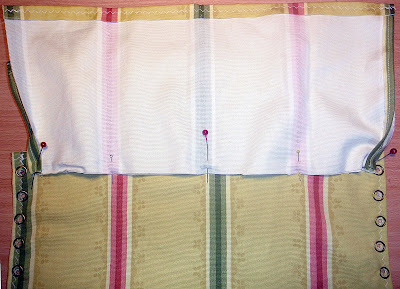 Next you need to measure how wide is the space between your eyelets/grommets. 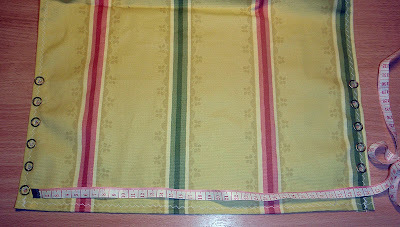 If you decided to go without them, then this measurement is the same as the shortest side of the basic fabric rectangle. 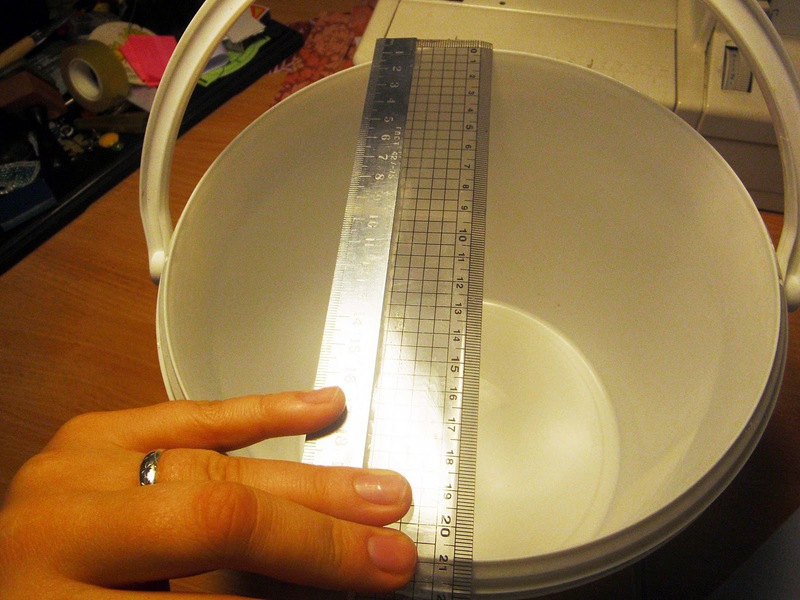 Cut as many fabric rectangles with width slightly larger than this measurement (plus for seams), as how much pockets you want on top of each other (and the same for the other side of bucket). 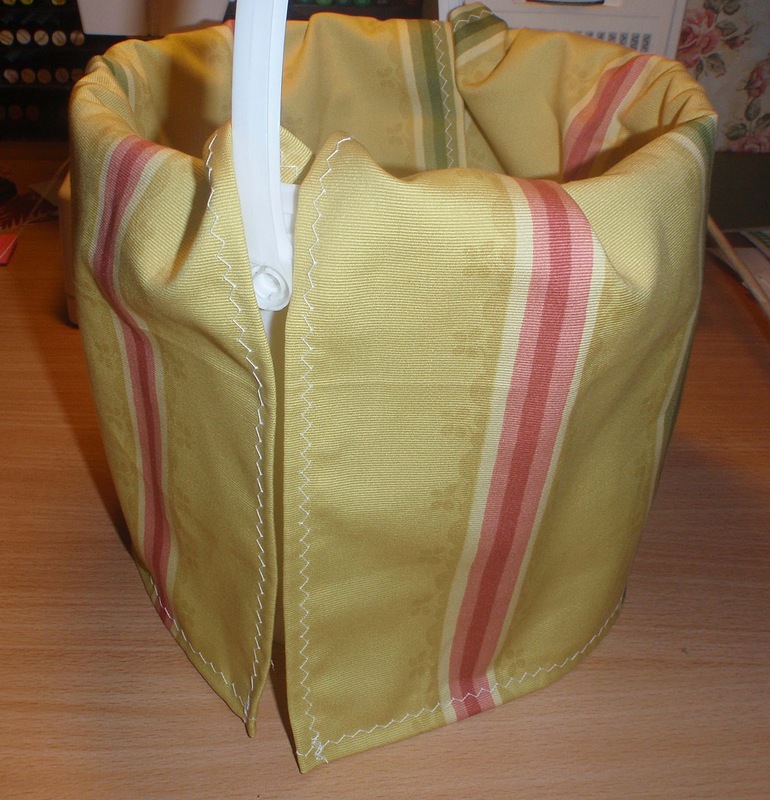 For my bucket I made two pockets - first goes at about the same height as my row of grommets, and other is slightly shorter. Sew the upper edge of all pocket rectangles and place them on top of each other, so that their bottom edges match (for one side at a time). 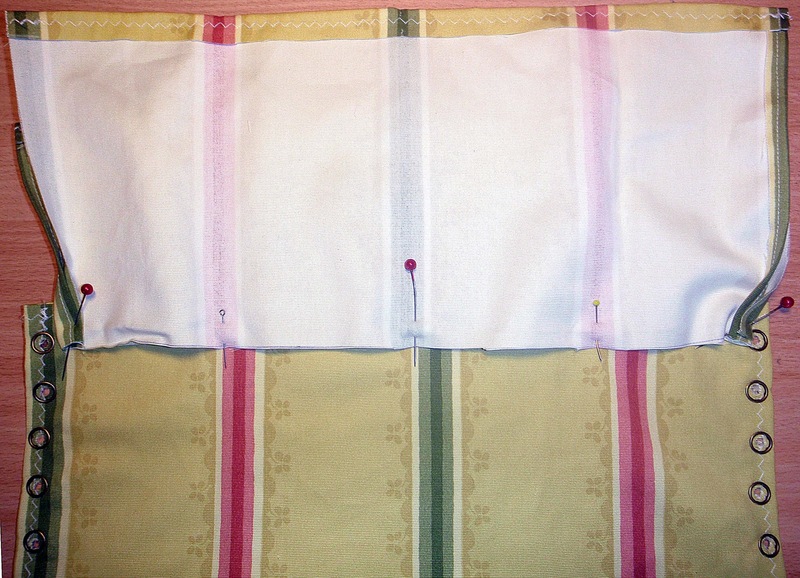 Place your pocket sandwich up side down on the bottom edge of your basic fabric piece (see picture for reference). 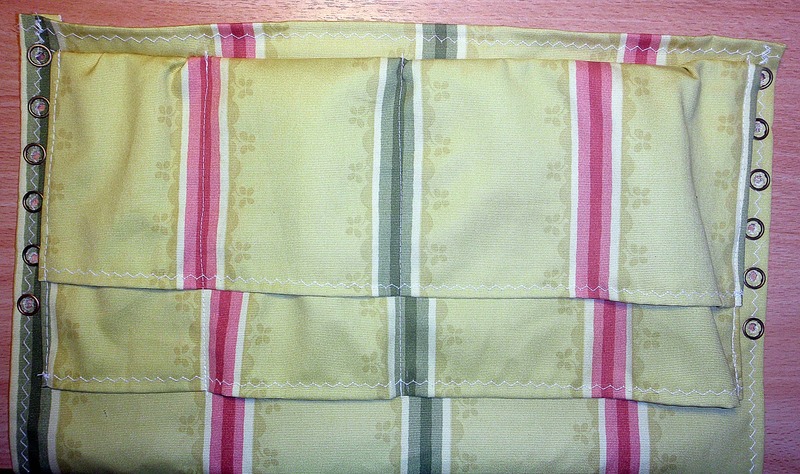 I also folded backwards both side edges of pockets. 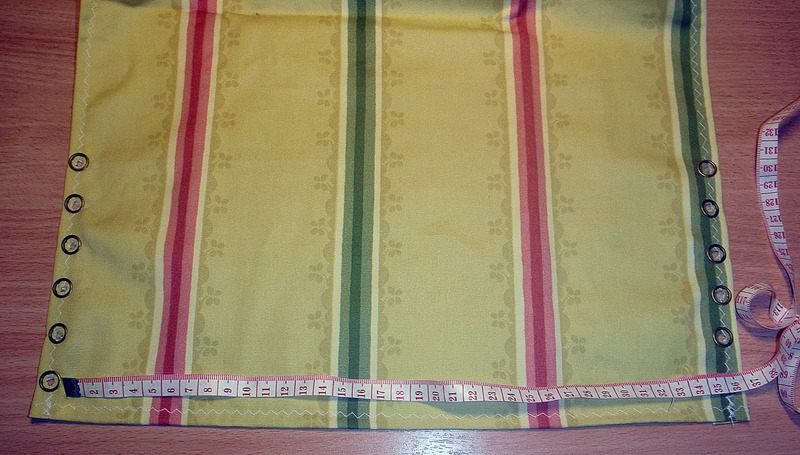 Now sew this edge, creasing fabric as necessary (because it is slightly larger than this edge). Now fold back your pocket and sew side edges (which are folded backwards) and vertical lines that will divide your one big pocket into as many smaller pockets as you wish. Do the same for the other side of bucket. I have divided one pocket in half and then one of that half again in half. 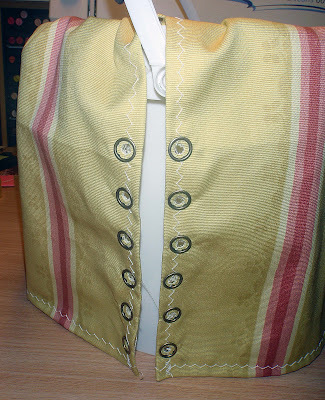 The other pocket was divided into three equal pockets. 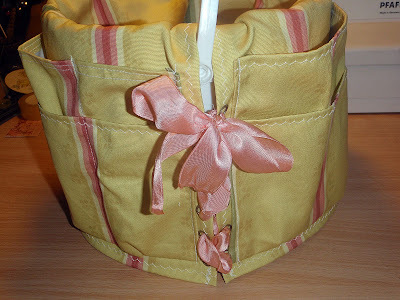 Place your fabric on the bucket as before and thread ribbon through eyelets/grommets, tying a bow in the end of row. I also tied another ribbon all around the handle, because I didn't like the white plastic look of it, but if your bucket's handle is cute enough to show, you may of course leave it at that. Lastly I added nice buttons at the eds of handle, because before there was some weird looking hole, that now I covered with these buttons - cute! I just love my new tool bucket. I can take it to crops and also put it on my desk top. 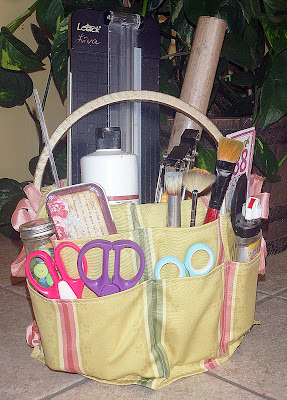 I like that it is big enough for me to store my trimmer in it, as well as lots of tiny things I use in my daily crafting. 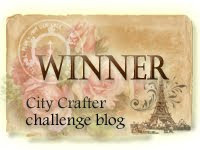 Hope this tutorial was helpful and wish you a wonderful time crafting! Oh Liva, this is brilliant, aren't you clever.